Adam and Peter. One is Tanzanian, the other Canadian. Both have albinism. One's called a ghost, the other's a businessman. In Tanzania, if you're born with albinism, a rare genetic condition that severely lightens the pigmentation of your skin and renders you susceptible to dangerous, damaging effects from the sun's rays, you are less than zero. You're considered a living ghost and the only thing you're good for is what can be extricated from you in death by witch doctors who make use of your body parts for all manner of good luck potions. 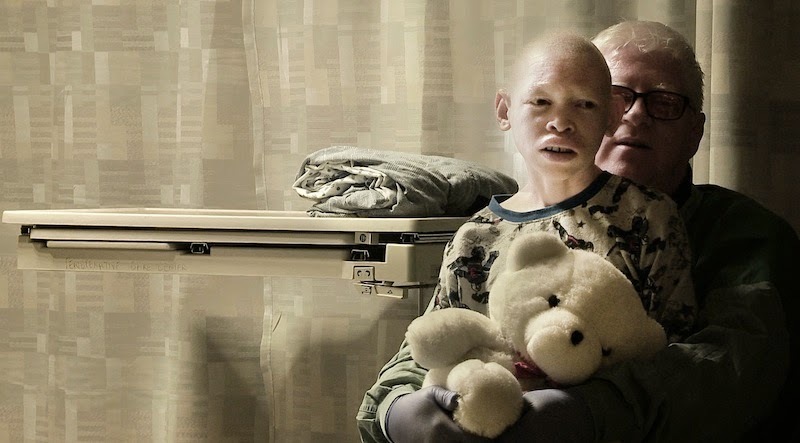 For as long as albinos have existed in this part of the African continent, they have been subject to prejudice at best and at worst, mutilation or murder. Call me a Western Colonial Pig, if you will, but from where I sit, there's simply no room in the world for this sort of ignorance and hatred. I don't care how intellectually or financially impoverished the nation is, I don't care about the cultural significance of superstition in said nation. I am sickened by the rampant inhuman beliefs that foster the agony of prejudice. Through the world's kaleidoscopic shards of horrific actions inspired by religion, culture and/or belief systems, the butchery of those suffering from a medical condition is possibly one of the most, if not THE most stomach-churning abominations inflicted by man towards his fellow man. The legendary cinematographer and filmmaker Vic Sarin presents a story that is, at once appallingly grotesque, yet also, out of the dark side of the human spirit is a tale of profound and deep compassion. 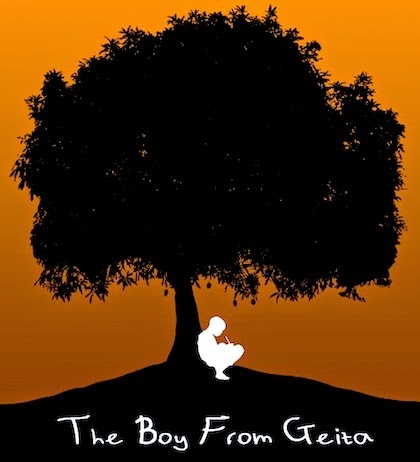 The Boy From Geita focuses upon Adam, a 12-year-old albino who is attacked in the middle of the night whilst his father stands nearby and does nothing as his son is hacked mercilessly with a machete. The child miraculously survives this atrocity, but he has been mutilated so severely that if he's not attacked and killed again, he will live a life of the most unbearable hardship. On the other side of the world in Canada, we meet the successful businessman Peter Ash. Like Adam, he is also afflicted with albinism. Though he recounts the sort of prejudices he faced in childhood, we also learn of his early tenacity and eventual ability to live triumphantly with this condition - how the unconditional love and acceptance via his mother and educational opportunities both allowed him the freedom to surmount all challenges. These two extraordinary men, against all odds, find each other and the journey we take with them is deeply and profoundly moving. Heartbreak, however, is a huge component of this tale and there are several moments where I defy anyone to not be wracked with sobs when we hear the stories recounted by albinos who have survived the most vicious attacks - always with machetes. We also share several huge moments of almost nail-biting suspense where we hope against hope that the opportunities to alter the lives of those who've suffered so horribly can come to fruition. This is a superbly crafted motion picture that finally instills in us and its subjects some semblance of hope for the future. I can think of no better reason to praise the art of cinema for allowing such work to live and breathe so that we all can embrace the true joy inherent in humanity. The Boy From Geita will enjoy its World Premiere at Hot Docs 2014. For further info, visit the festival website HERE.